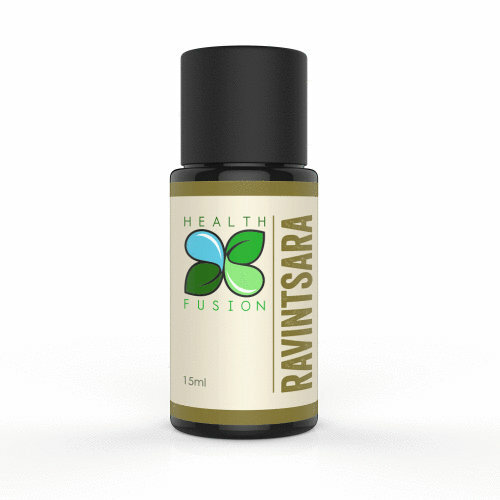 Ravintsara – Health Fusion Ravintsara (Cinnamomum camphora) 100% Pure essential oil is organically grown in Madagascar & is a 1st distillation. Ravintsara has a woodsy, camphor like aroma & is commonly used like Lavender as a universal oil. Ravintsara can stimulate the immune system & is anti-viral, anti-bacterial, anti-fungal & can aid with many infections or as an antiseptic. Ravintsara is also used for pain, cuts, wounds, burns, cold, flu & to support the nerves & depression along with assisting in respiratory ailments or as an expectorant.